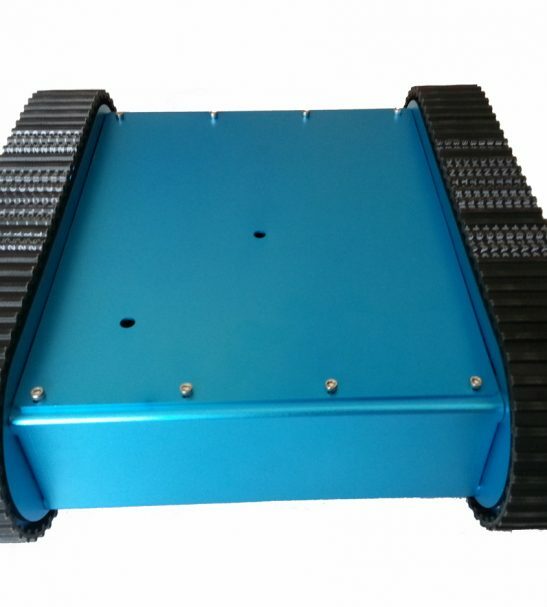 This is a simple, programmable tracked mobile robot tank kit. 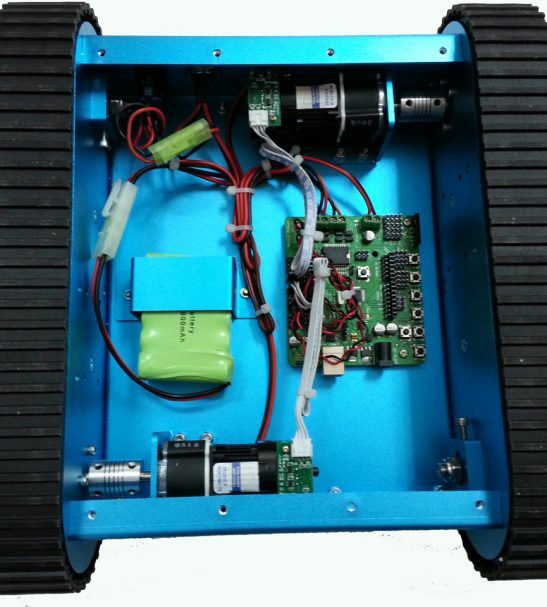 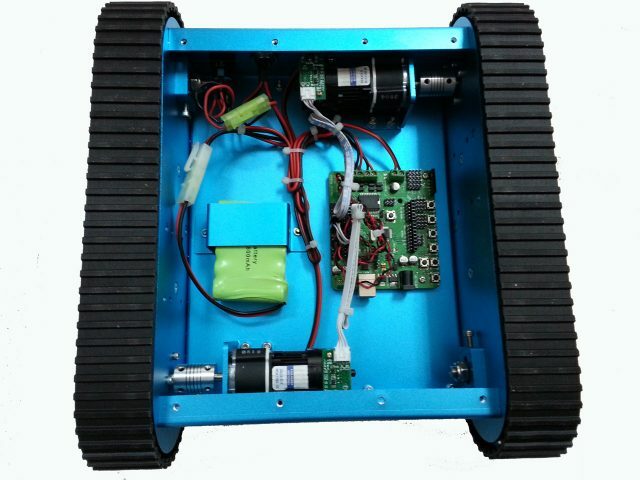 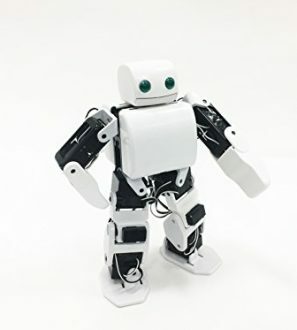 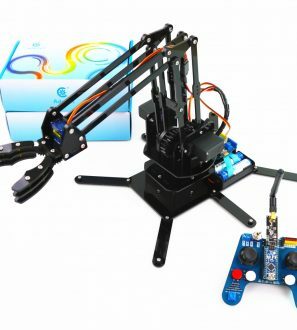 It includes Tracked Wheel, two coreless 12V DC motor with encoders, and Arduino 328 Microcontroller (It contains everything needed to support the microcontroller). 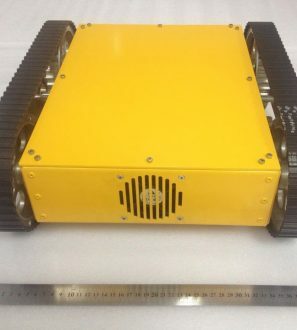 This robot tank is used for rescue and education and it’s an inexpensive mobile tracked platform. 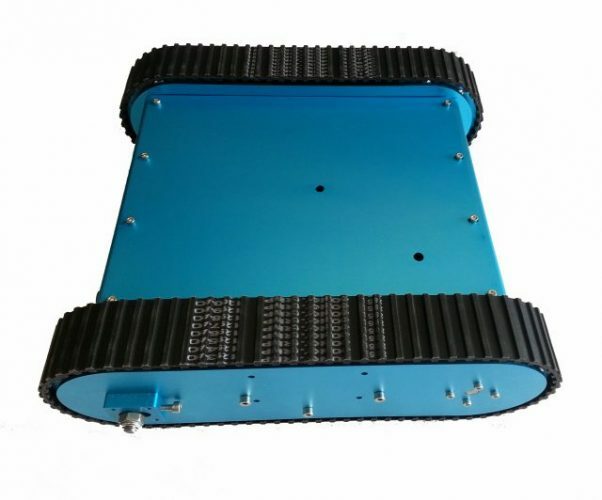 The tracked mobile tank robot kit can moves over objects that block its path across rough terrain. 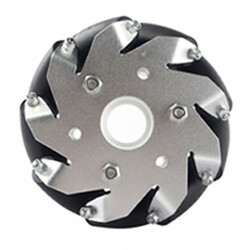 It’s climbing ability is also very good. 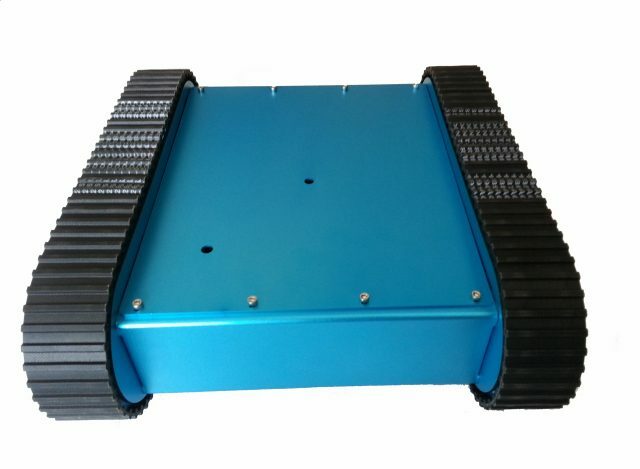 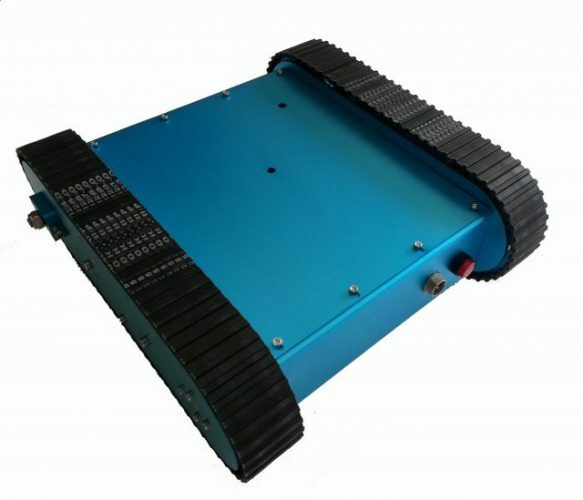 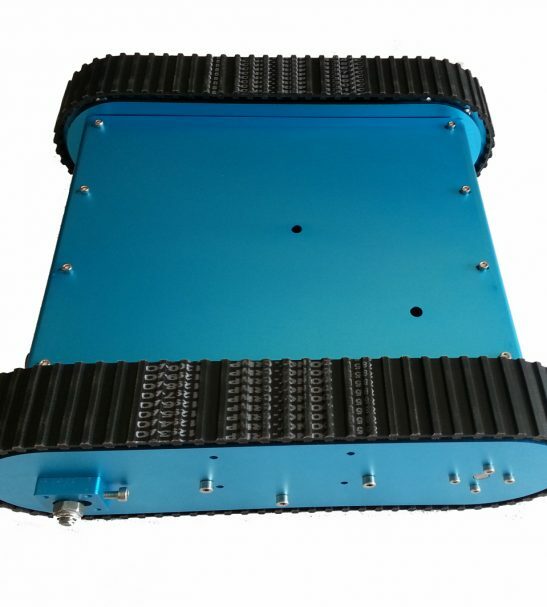 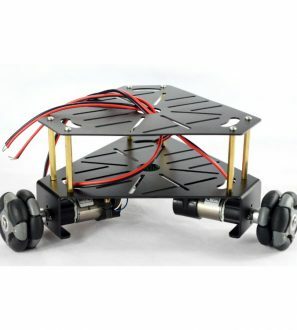 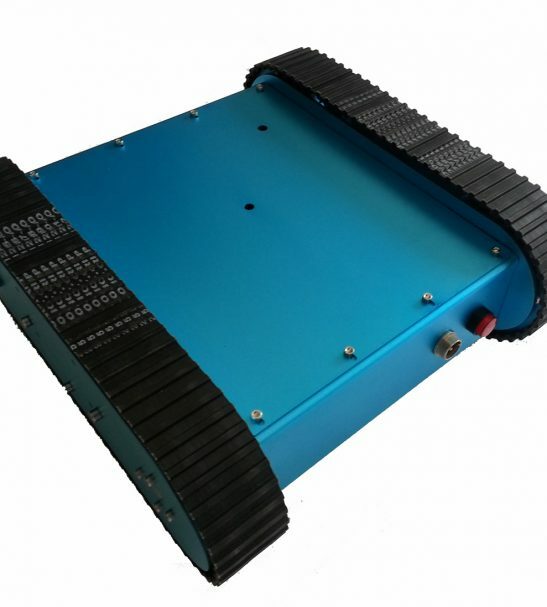 The tracked mobile robot tank kit provides excellent stability, traction and low ground bearing pressures, enabling use in a wider range of applications.